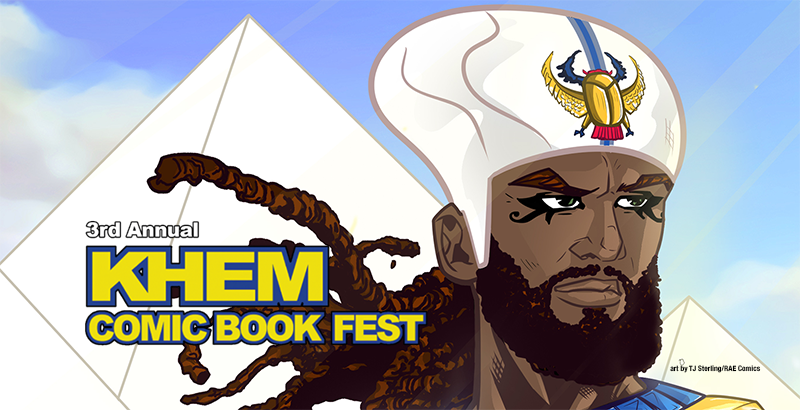 KhemFest is an annual convention that features creators of comics, books, film, and other media with a focus on artists and characters of color. The day is filled with entertainment and activities such as: Comic Book/Education workshops, a marketplace, a comic book library and panel discussions and screenings and interviews with industry professionals. The goal of the event is to use comic books, films and popular culture to develop youth literacy and expression through S.T.E.A.M. (Science, Technology Engineering, Arts and Math). 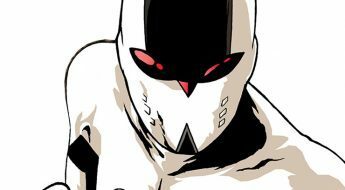 In addition, all proceeds from the Khem Comic Book Fest will go to the Central High School Pre-Engineering Academy Program. In addition to comics, the Khem Comic Book Fest also highlights other genres such as speculative fiction, video games and collectable toys and models. The screenings include creative films, documentaries as well as animation. The festival has also become a diverse networking event for artists, writers and teachers as well as comic book enthusiasts and fans of cosplay, fantasy and popular culture for the attendees. Currently, some of the panels are Superhero Creation Workshop, Black Stuntmen: The Luke Cage Stunt Team, a Cosplay Fashion Show and a panel about Black Women in comics (That’s the one I’ll be moderating!). Special Guests also include: Khalil Maasi (The Chappelle Show, Marvel’s Luke Cage), Roye Okupe (The Legend of Wale Williams), TJ Sterling (Okemus), Micheline Hess (Malice In Ovenland), MSHINDO KUUMBA (Indigo), Arielle Johnson (Amalgam comics and Coffee), Arielle Johnson (Amalgam Comics and Coffee) and Akinseye Brown (Sokoya Comics). 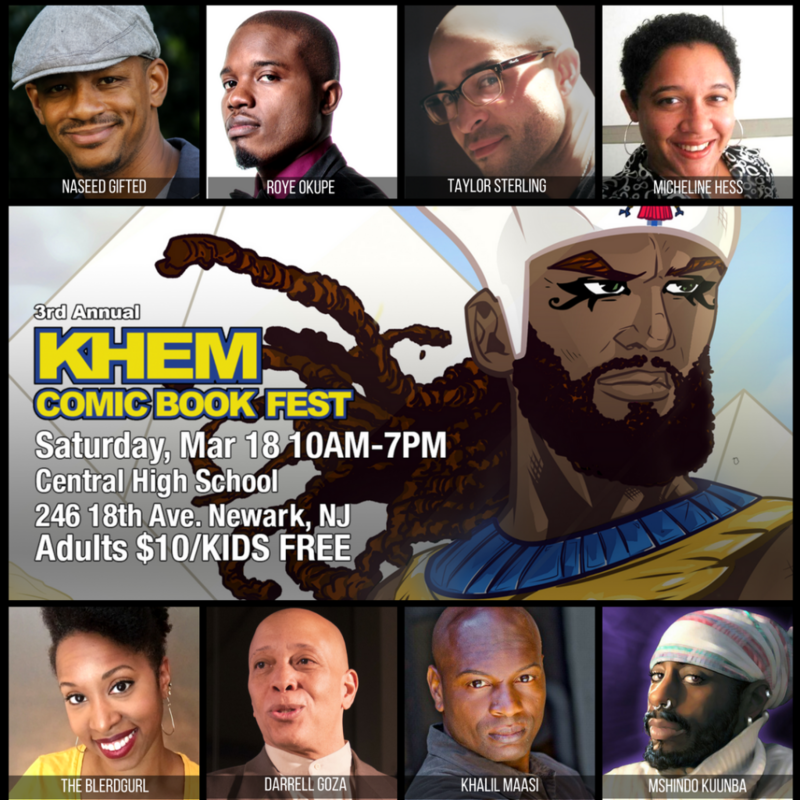 The Khem Comic Book Fest will be held on March 18th, 2017 at Central High School 246 18th Ave. Newark, NJ 07108 from 10am to 7pm. The event is free for Kids 17 and under and Adults pay $10 admission. As of Feb 3, there are still a few vendor tables left and the event is also looking for sponsors. Visit the website at Khemfest.com to purchase tickets, get directions and see the full list of guests. 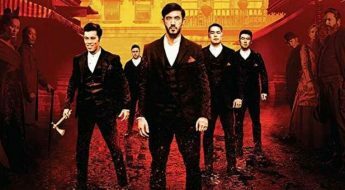 Want to attend for free? Then check out the volunteer section! PBS Media (Phocused Black Star Media), created by educator and creator Naseed Gifted, is a comic book and graphic media company that partners with the community to raise awareness and social consciousness through creative projects. 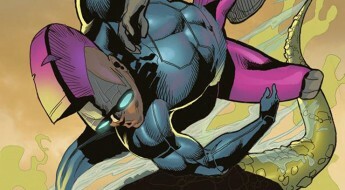 Along with the development of the ongoing P.B.Soldier graphic novel series, the organization provides app development, apparel, and motion comics though it’s offices located in Newark, NJ. We serve as a “bridge in the gap” of the community.